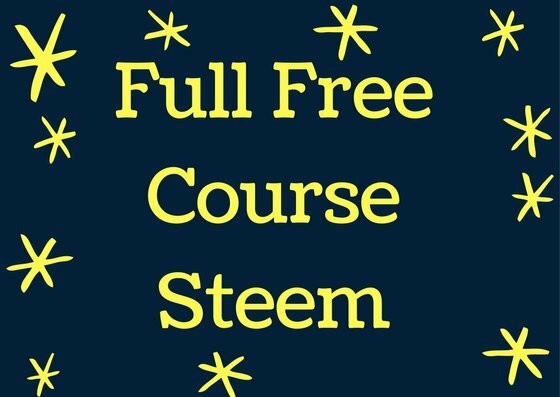 This is My Updated Full Course on How to Use Steemit, as a curator, commentator, and Creator of content! I Have Simplified it Even More while at the same time, Adding information and Updating all the Information on the Post. 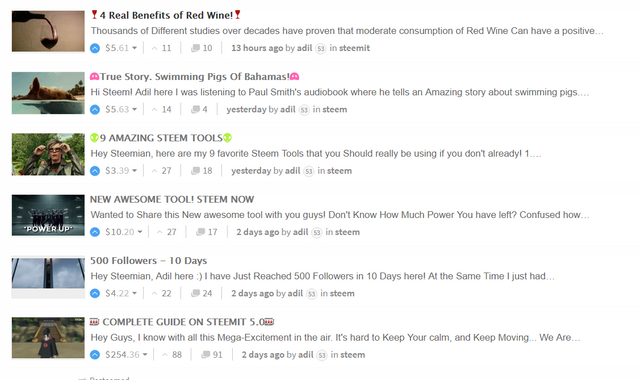 9 Amazing Steem Tools You should be Using! 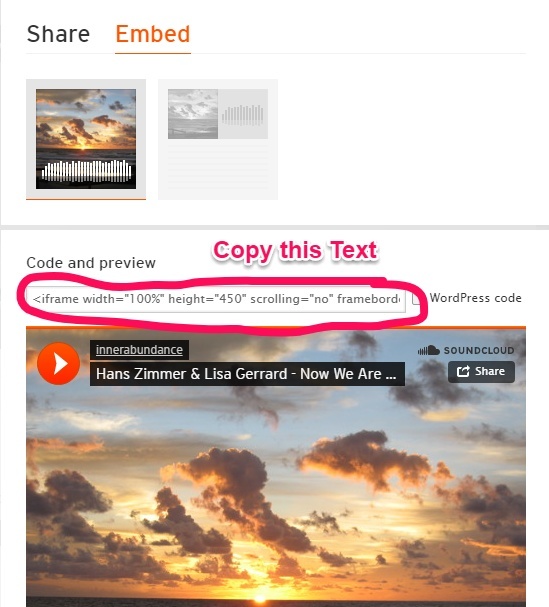 How To Create/Resize/ScreenShot Pictures Easily! If you Like Music, Zen Sounds Help you focus better and calm your mind while Reading! I only Focused on Bringing Value. I hope my Posts did bring the Value for you! Stick around if You want to Know my Biggest weapon on Steemit that Helped me a lot so Far, and It can work for You! 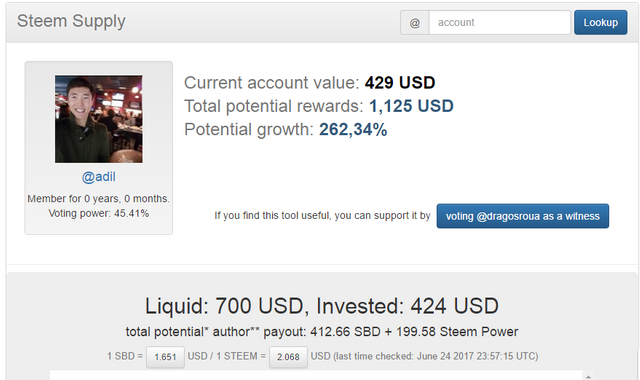 I have invested a lot of time on Steem, connecting, Posting. Now I realize that by telling this to You I will loose Out on a Lot of potential $$$. But if You will Take this Tip and Crush it here, Worth IT. How To Really Double, Triple, Quadruple Your Chances here? How You can get More people to Open Your Post? Skyrocket your Chances of Being Noticed By a Whale? Every Time you Post, Go As fast as possible to Your wallet and Transfer $2 to @Randowhale for an Upvote. This system is simply a way to legally print money. 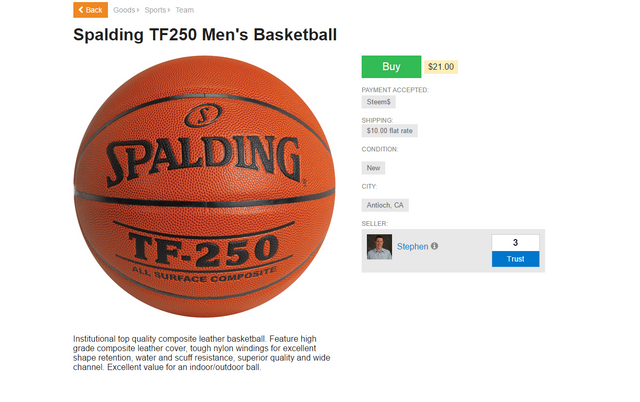 Spend as much as You Can, While this is working. When You get and Upvote of $3-$12, Your post Gets More attention. 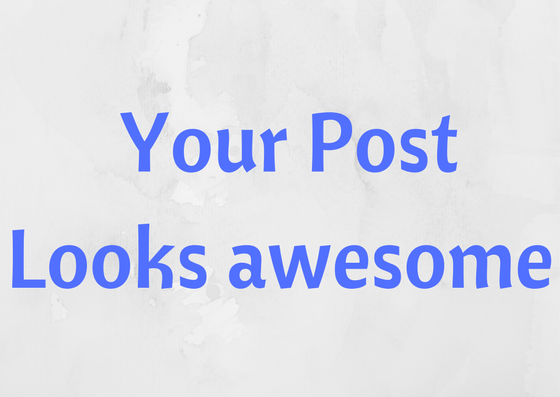 Your Post might go Straight to Hot, Depending on How Much Competition there is at this Time for Your Tags. That Means you Have a Higher Chance of Success! Every Post You see here Was Upvoted by Randowhale. 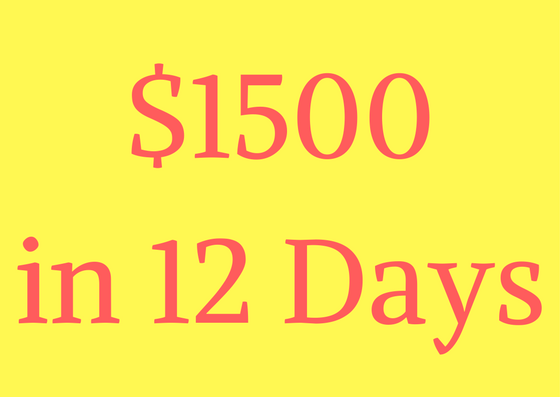 On the Bottom, My Record Profitable Post so Far - $250 with 1 Post on Day 10. It Boosts Your Post In the Beginning. Helps You get Noticed More and Possibly Make More $$$! Type: "randowhale" Where It Says "To"
Memo: Link To The Post You want Upvoted! Submit and Wait 1-3 Minutes. Now More people will Use Randowhale. But it will help you too! I want to Help as Many people as Possible to Succeed Here! Increase Your Chances of Getting Noticed! Increase Your Chances of Success, While making some profit from Randowhale! Test With Many Different Topics. See what Works, where and How You can Deliver Value to People. $$$ Talks, See what makes you more $ and if You enjoy writing on that topic Focus more on that. You can even Find an Exact Person that's online at the moment Near You. You can find their Account names and contact them if You'd like to let's say Meet up! If You see One day on this map Most of Top players Cashing Out, that is Probably a Sign for You to Start Powering down as well! So be on the Lookout for this tool it Just might Save your Investments! If you were ever wondering about Promoted Posts. This Page Shows you Exactly How Much You need to Pay to Be on 1st, 2nd, 3rd etc. Spots on Promoted! 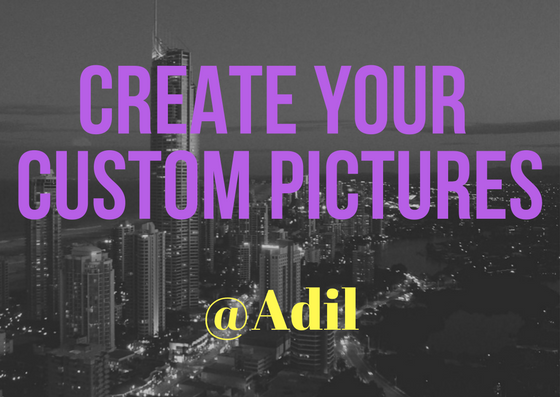 If you ever want to Promote you Posts You really should check this tool out! Versus How Many Dead Followers, that never Upvote or Comment, or are not active on steemit at all! How Much Does Your Upvote Cost? How Many Upvotes are left in your Fuel Tank? How much any other User's Upvote Costs? What is Your Average Upvote Rate? 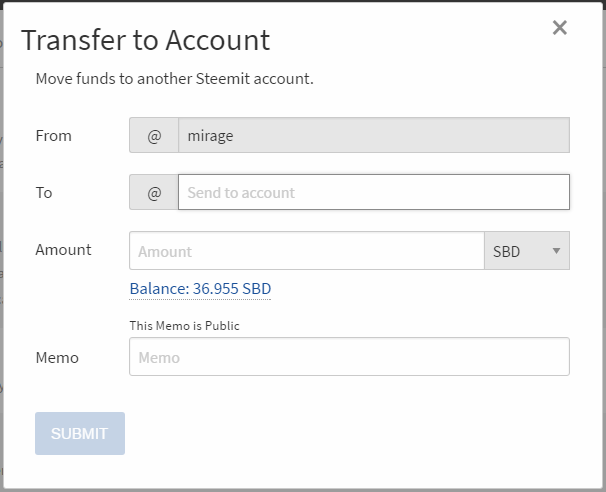 How Much You Will Get Paid by Steem? How Many Days Exactly Until You Receive Your Payments? 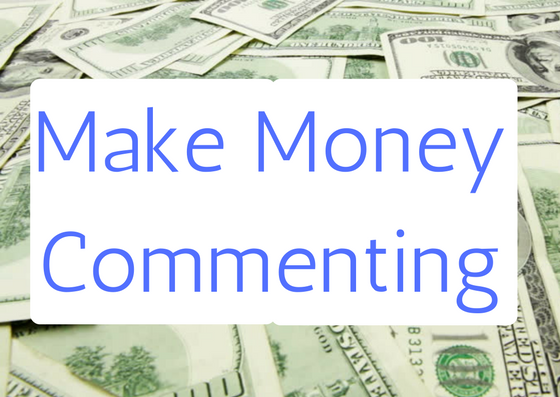 What Percentage of Your Income Comes from Posting/ Comments? How Much You will Receive on Which Days? What Percentage of The money that Post made goes to Curators(for Resteems) ? 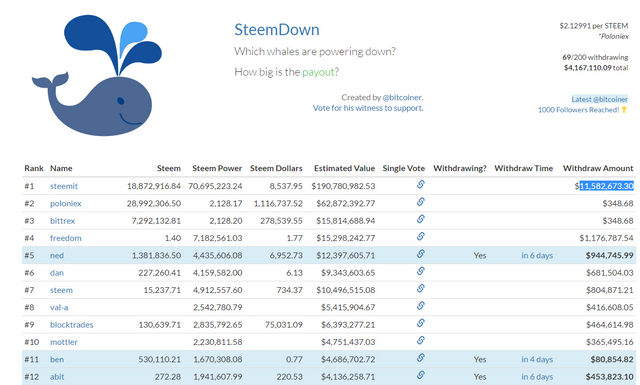 How Much of Steem Power, SBD You get to Keep! You Can See I have $250 on my account at the Moment. How Many People Unfollowed You? What Days did each Action happen? How Many People Muted You? Guys This 1 Tip Will make your Posts 1000 Times Better than they already are! They Let you Freely use their Gifs on Social Media! There is a TON of Amazing Gifs. Use Google Chrome or Brave Browser! Right Click + Copy Image Address. Paste it wherever you want! Done. Proper Tag's use is highly underrated. Whenever you Click Post on your Submit a Story Page your post is then sent to New Section in every Category that you have Tagged and to the Feed of Your Followers. If you Get the attention with your post and you make let's say $3, then steemit algorithm will now Move your Post to Hot Section. If Your Post get's over 100-150 Upvotes and makes more than a few-hundred dollars( always depends on how many people are posting and which tags they are using, time of the day etc...) Your post is now Moved to Trending Section. If you made it to Trending your post will generate lot's of money and many new Followers. So Your first goal should be to Move Up to the Hot Section as soon as possible. 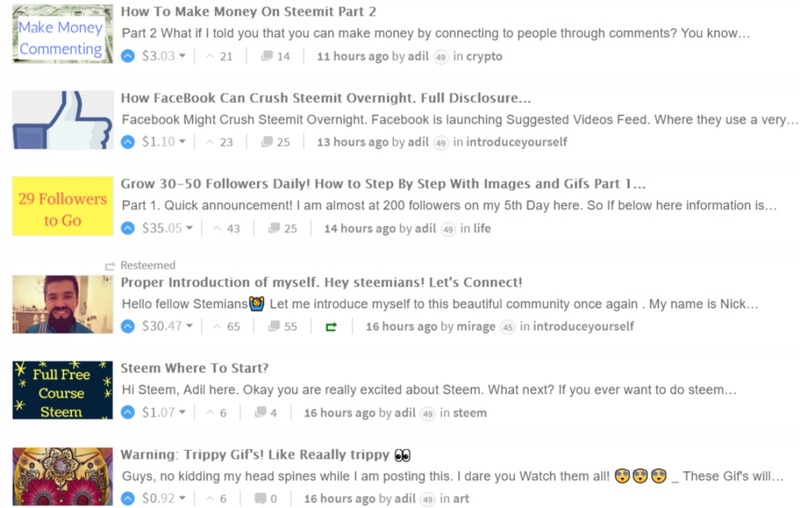 Steem chooses to move up only posts that are generating money Upvotes. 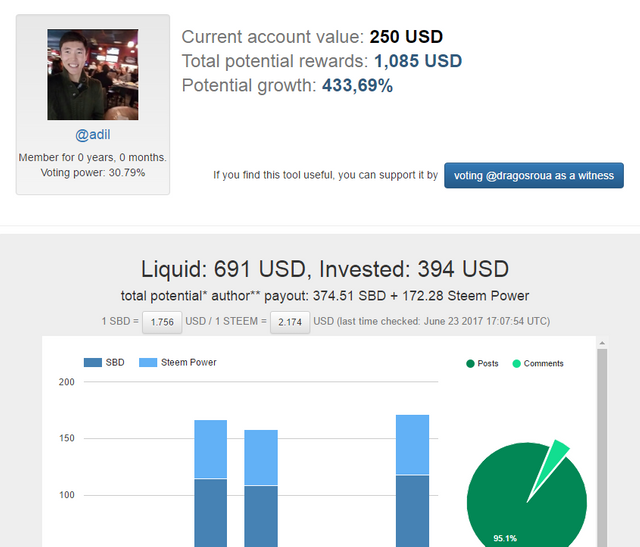 Power Upvotes or Money Upvotes are given by People who Have Steem Power. If your post is at the right category at the right time when someone with Power is Scrolling by and Upvotes you, You will go straight to Hot. 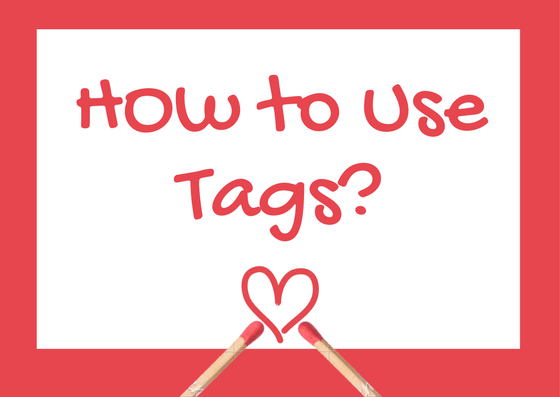 Have 5 Tags at all times! if you don't have a big following. You want as many people as possible Noticing your post. Now If that post didn't make it to Hot Section than it will go down fast and after 2-3 hours it will be completely dead, making you $0.01. Small Real Life example from 10 Days ago. When someone gave me an $8 Power Upvote 4 Minutes after I released the Post. Made it to 1st Place of Hot Section. It was on the 1st place for about 4 Hours then started moving down. First Let's take a look at Geography of Steemit Users. 2,7 Million Users April - 5.9 Million Users May. From 2:00pm EST - To 8:00 pm EST is the time when Most of these countries are awake! Try to post at those golden hours. If you ever want to do steem Now is Your Best chance to start. Why? Because the price of steem is still relatively low and most people don't know what to do here yet. June was a record setting month for Steem by Registrations of New users. Make no mistake, it will get huge with or without me, with or without you. I am starting as strong as I can, would love to share with you how I have almost 900 Followers in Less than a Month. I haven't seen anyone here talk about reposting your own original content so I would like to share my opinion on that. In the beginning you have very few followers so even if you write Amazing piece of original content you might not even be noticed. When you submit a story, your post goes to "new" section and only few people will see your post there since people are posting all the time and your post ends up down on the bottom where no one will read it. That's why I suggest until you have 300+ Followers, you should repost your older content with some changes. Add more information to your post, add more value and submit it again. Is it wrong to repost? When you work 4.5 Hours on a post and only 4 people see it because you have 3 followers that's not fair to you and to other steemians. If you are really sharing valuable content you should let more people see your posts to offer more value to more people I don't see anything wrong with that. If you get unhappy comments saying that you are "spamming" kindly appreciate their passion, and explain why you are reposting and that you will stop as soon as you get a little traction going with your followers. I have tested The waters for you in June! Steem's Monthly Visitors. 2.7 million in April - 5.9 Million May. Steemit Doubled their traffic in 1 Month. Also 6 Minute average visit duration is a strong factor of growth. First you gotta understand what makes you money. Find and Follow as many Influencers as you can and Connect with them, if you make friends with influencers they will bring you consistent upvotes which in this case equals lots of money over time! Comment when posts are hot and don't have many comments. If the post has many comments Reply to first Comment and comment there. 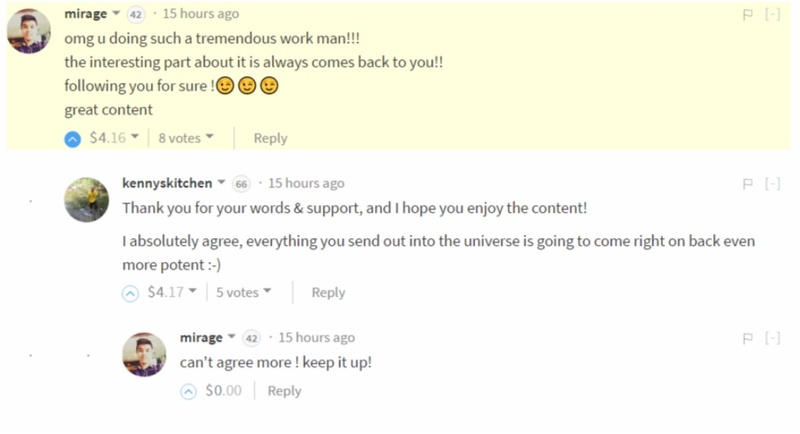 You only need the influencer to click Upvote, or even better reply to you. Me and @mirage were discussing effective Commenting a few days ago. He is using these tips and making money! Don't just Spam. You are wasting time. People can tell a difference between a legitimate Comment and a copy paste Robot comments. How to make Your Posts look Amazing? It's Free! Unless you want to use their pictures, which you have to pay for! It is Super easy to use, looks Great and you don't need to know Photoshop! 2. How to Resize Images? You can choose area of the Shot! How To Use Emojis From Your PC? This is what a gif looks like before you Center it. Choose correct sizes for text. Emphasize important moments. In stead of "name" Place your text. Inside of parentheses () paste your link and you are done! 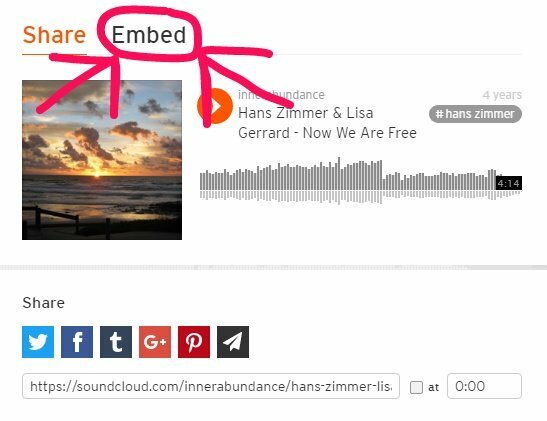 How to add SoundCloud Songs to your Posts? Hopefully You Learnt a Few things and Understand Steemit more now. Please Upvote if you Found this Valuable resteem if you just want to Be extra Awesome! Thank you for this complete explanation! All your guides are amazing. Resteemed ! There are many crap posts out there, but this is not one of them. This is an awesome and informative, I've learned several new things. I imagine the bots are going to be handled soon, since they are out of hand by the looks of it. We all need an UpStart! Thanks. 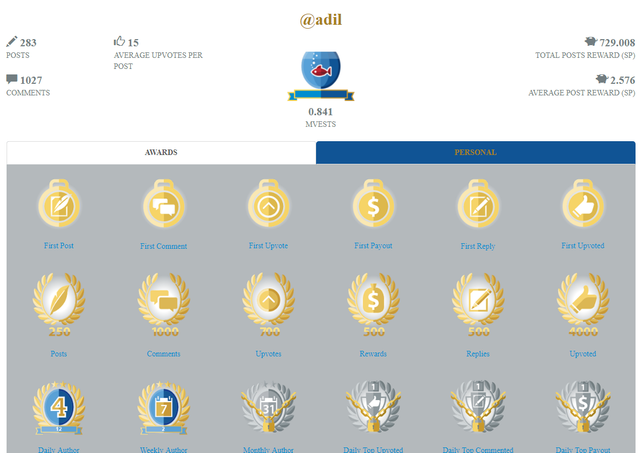 This really is a complete course, thank you so much @adil...no regret following you! This post received a 2.4% upvote from @randowhale thanks to @adil! For more information, click here! Cool! but careful! now randowhale is just 1 SBD and not 2!!! Thanks for bringing all this together!! Wow! This is a lot stuff to read and try out! Very good content! Thank you! 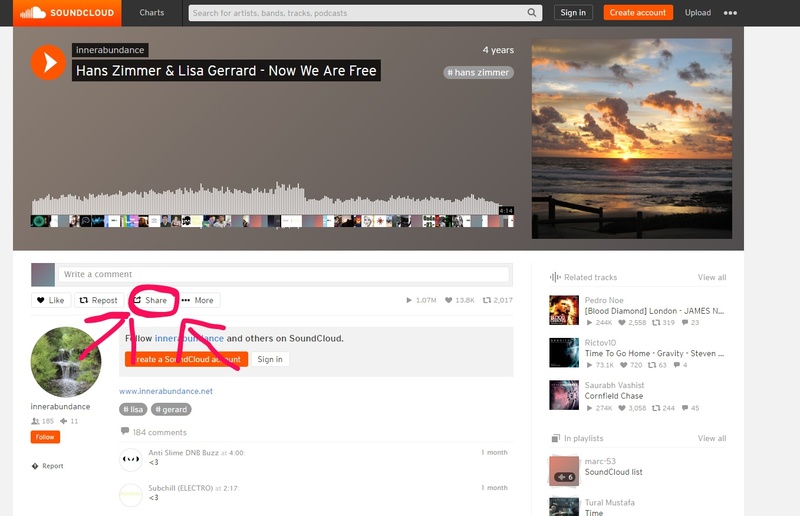 Thank you so much for this....Soundcloud is on the way, lol! Upvoted & Resteemed! Thanks for all these tips, I'm going to try them out one by one! Great job. Looks like you put a lot of work into this one. Upvoted and resteemed to get the word out and to use as a reference. Thanks! 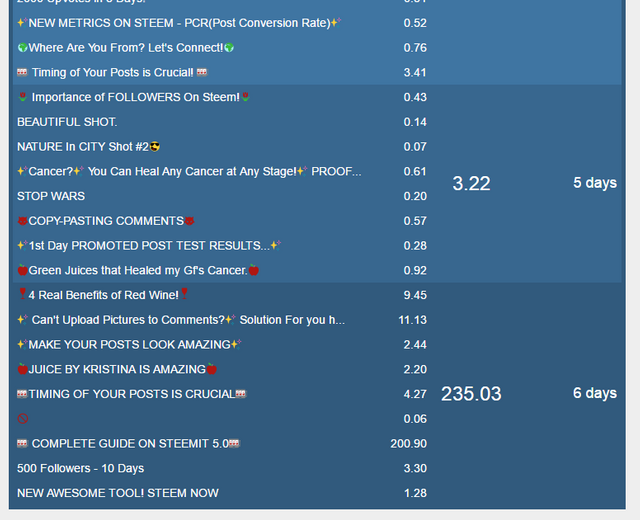 OK , I marked this blog and I will read it tonight because you mentioned you made 1500 dollars on steem! I don't know but Drake's photo brought me here and I just found a lot of interesting facts!